It's Easter time, so what better to show you than a Fabergé (Easter) bunny! 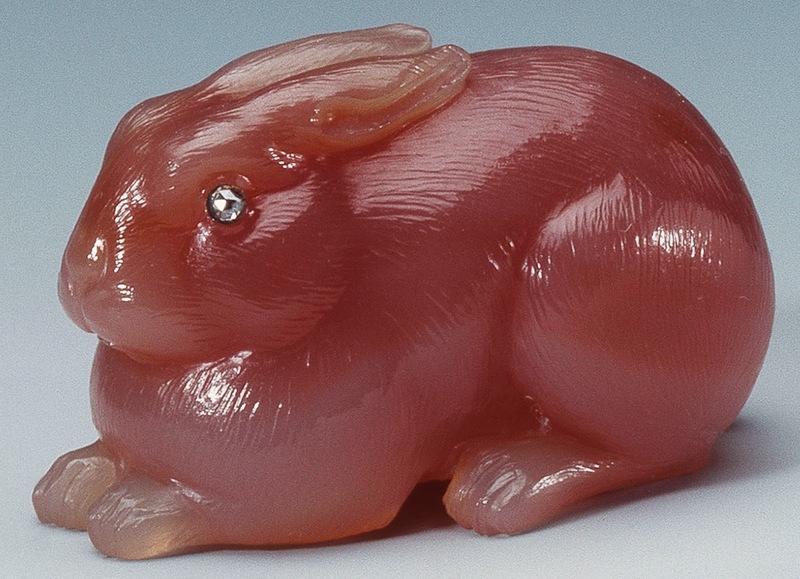 The miniature rabbit is carved from a piece of chalcedony, and has rose-cut diamonds for eyes. It's dimensions are 0.9'' x 1.5' x 0.9'' (2.2 x 3.8 x 2.2 cm), and it was commissioned by King Edward VII in 1907. Now it belongs in the Royal Collection. Happy Easter everyone!! !